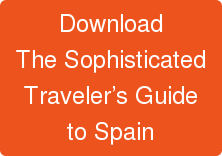 Delicious tapas, stunning architecture and the click of a Flamenco dancer’s castanets make Spain the ideal setting for an exotic luxury vacation. Madrid and Barcelona are quite rightly known for their quaint Old World atmosphere, extraordinary wealth of architectural treasures, and trendy culinary scene. The Plaza de Oriente and Gaudi's La Sagrada Familia Cathedral are often recognized among south western Europe’s most treasured possessions. Delve a little deeper into Spain's past on a luxury tour to cities such as Toledo, Cordoba and Seville. The UNESCO World Heritage Site of Alhambra is an absolute must when visiting Moorish Granada and hillsides dotted with dazzling white windmills evoke images of Cervantes and Don Quixote. It’s all part of a luxury vacation—a true journey of the senses.